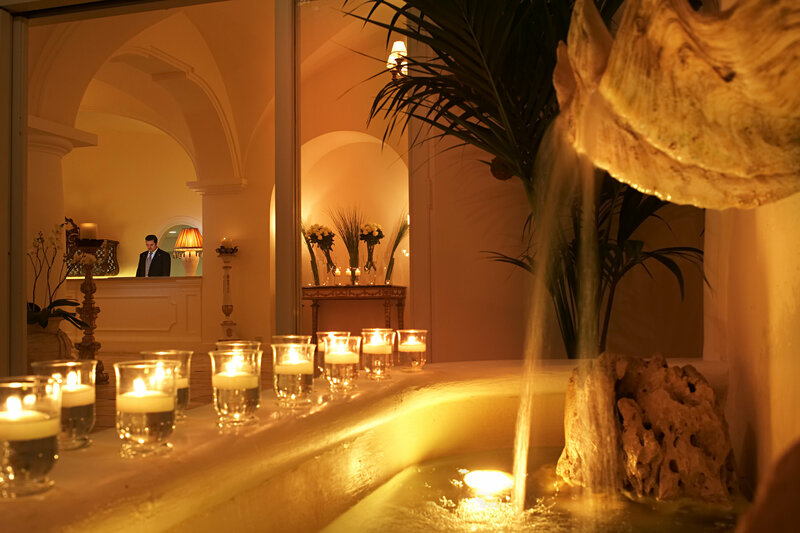 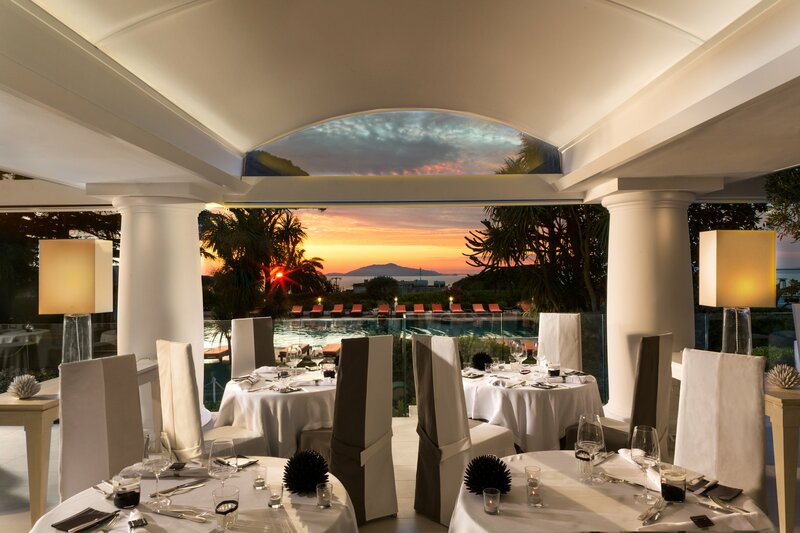 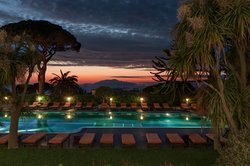 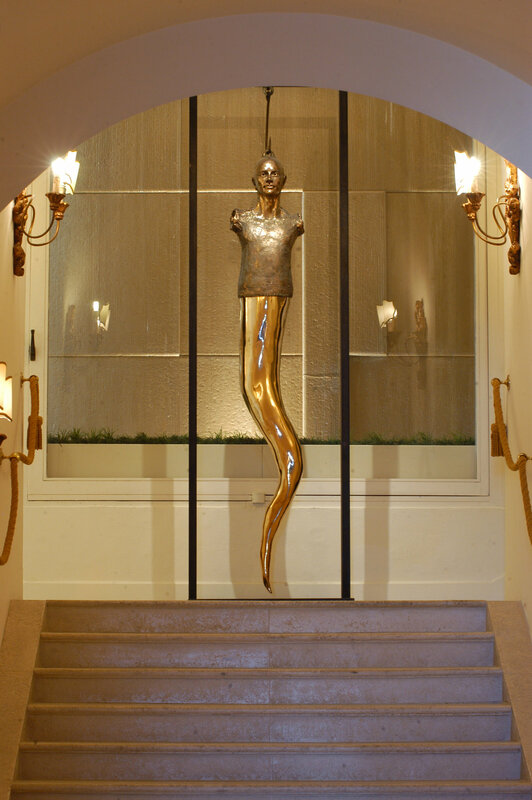 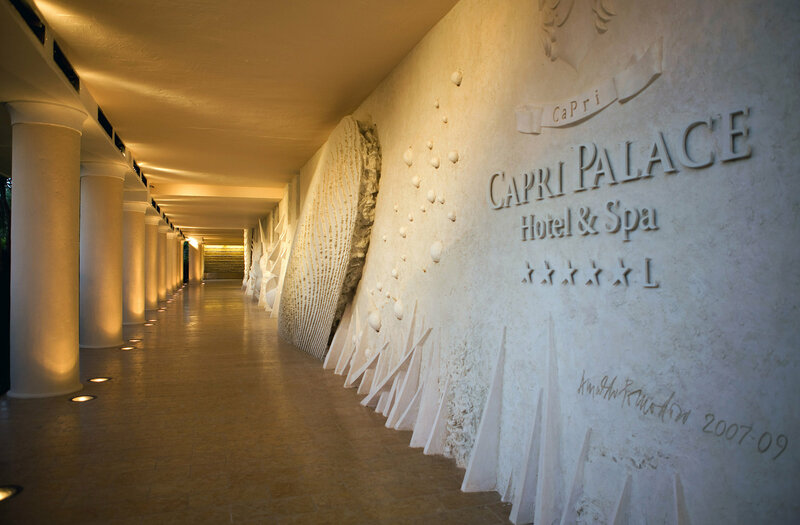 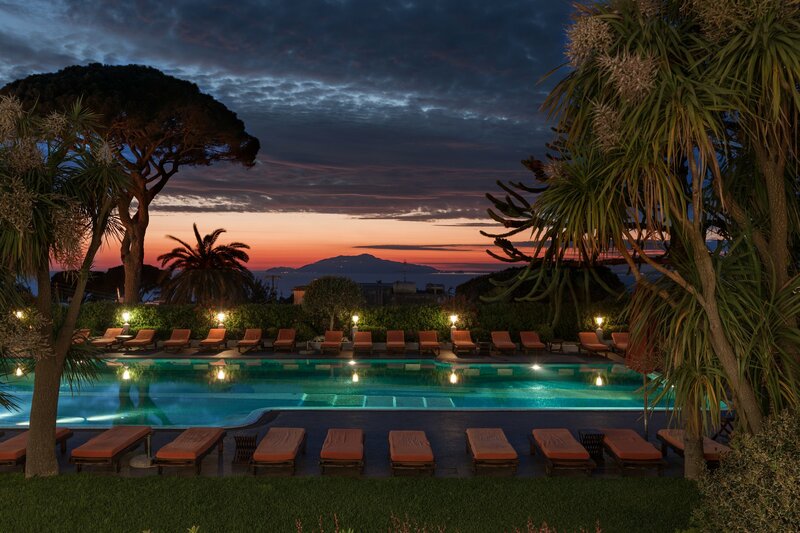 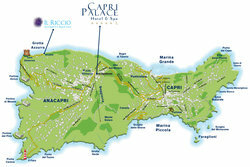 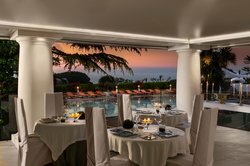 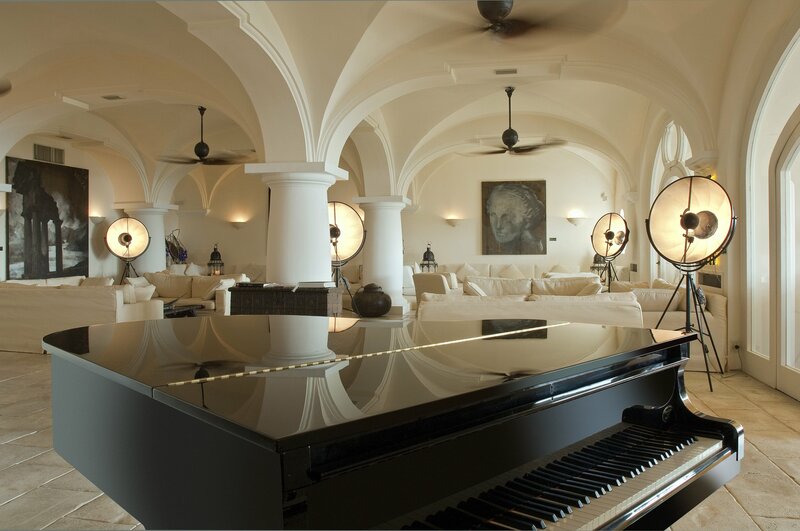 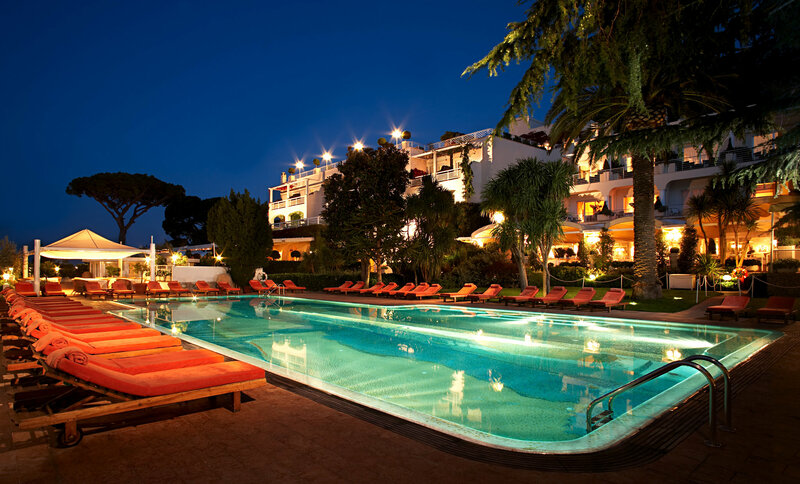 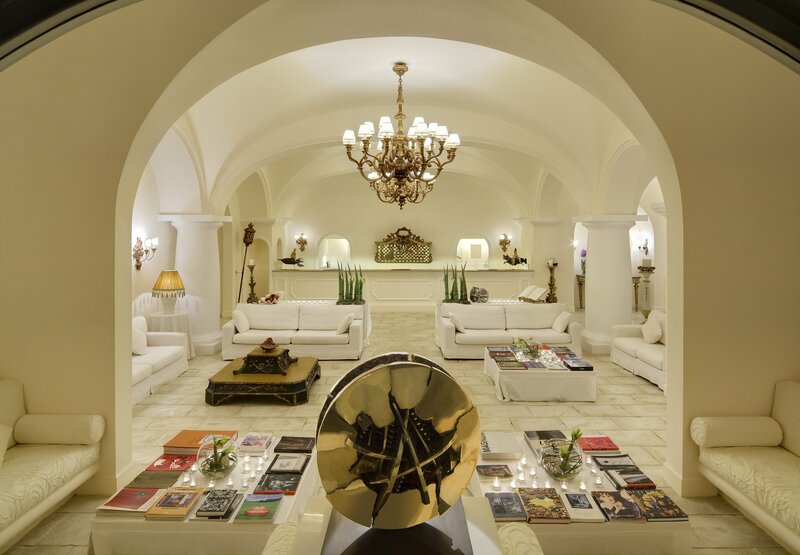 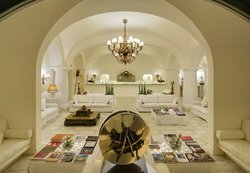 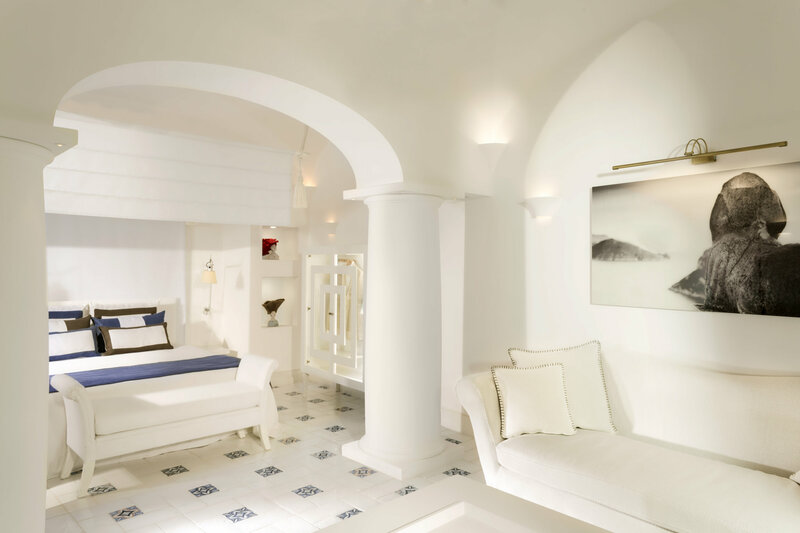 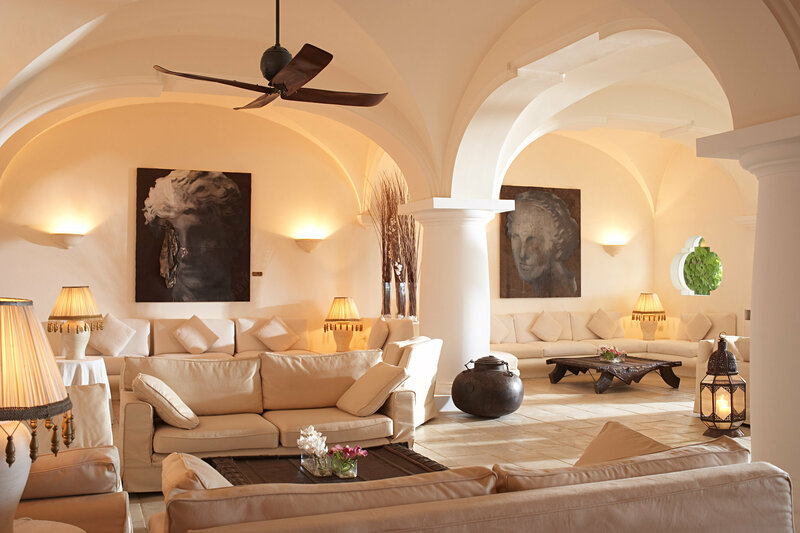 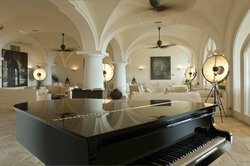 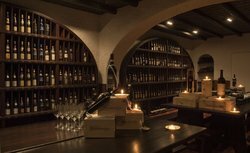 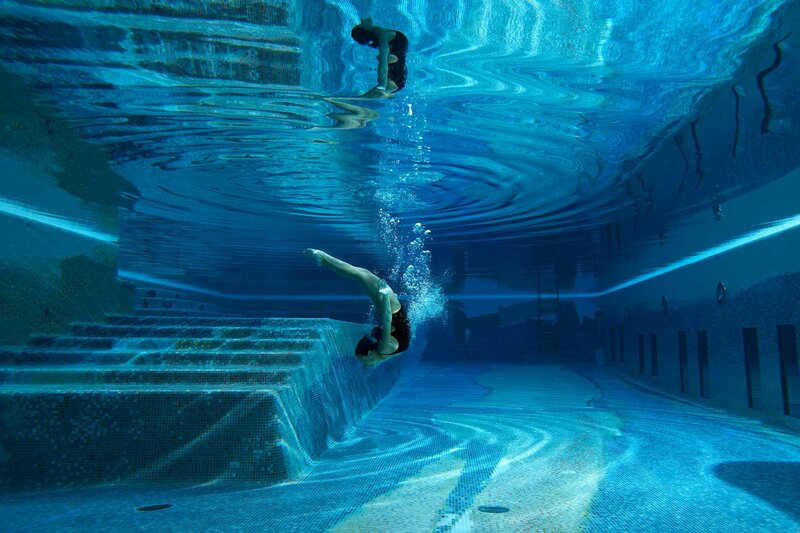 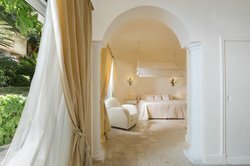 The Capri Palace Hotel & Spa is a luxury hotel of refined elegance that recalls, with arches, vaults and columns, an ancient Neapolitan palace of 1700’s. 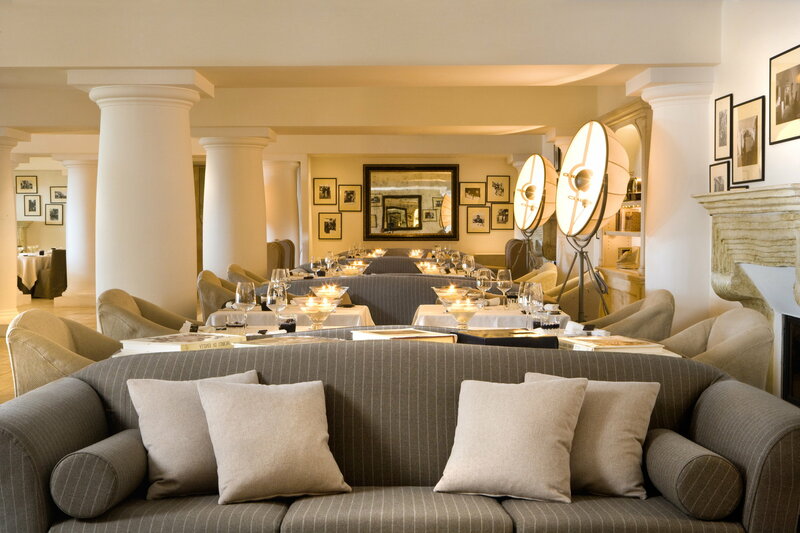 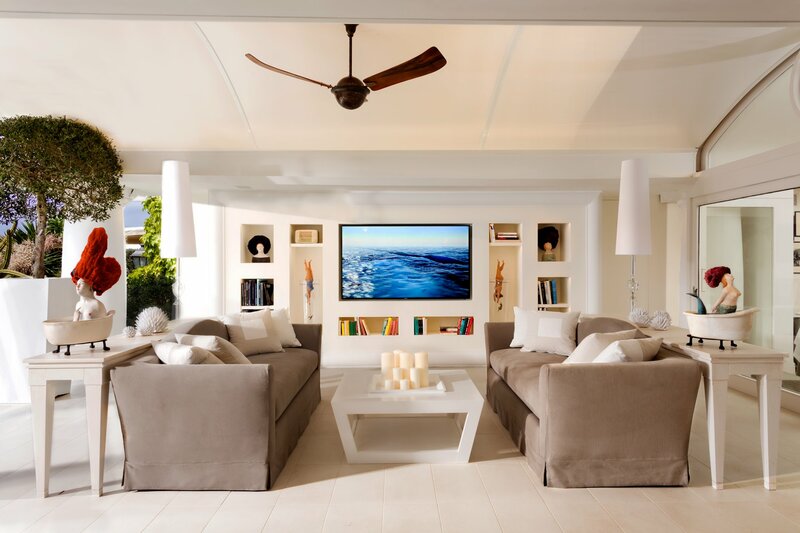 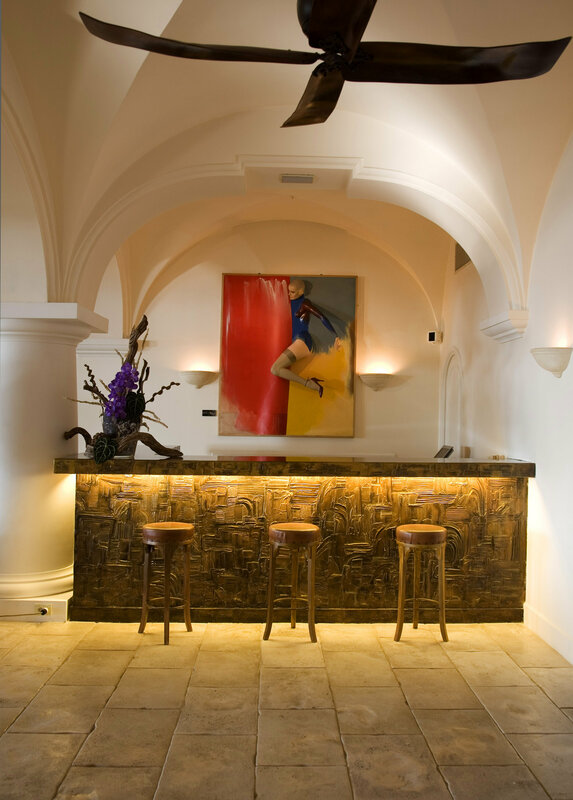 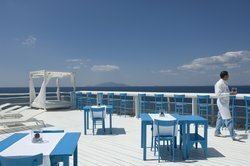 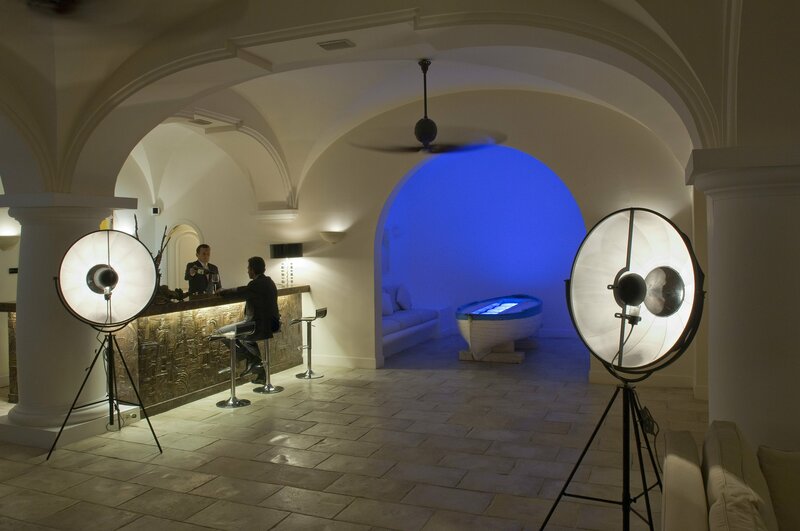 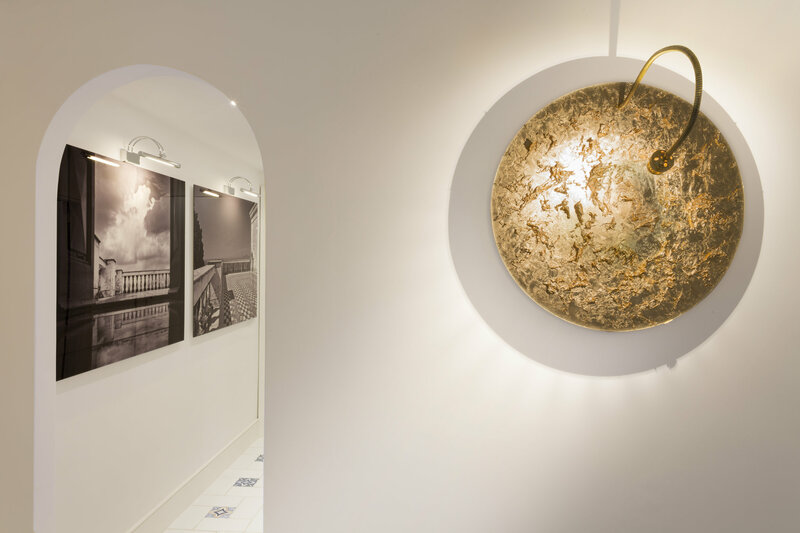 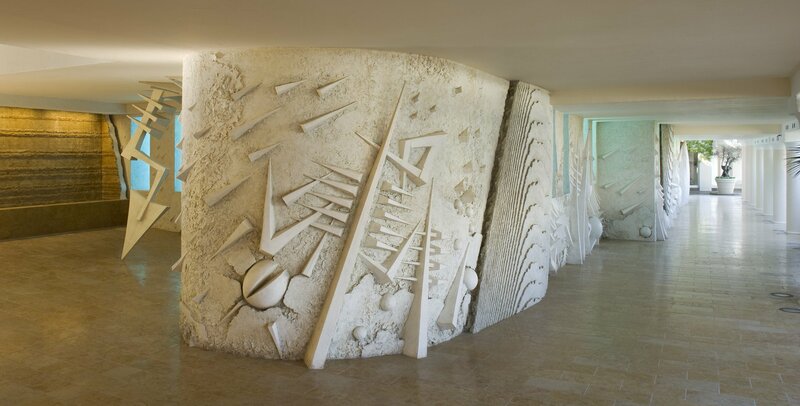 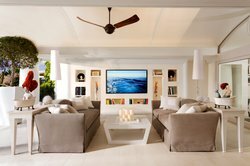 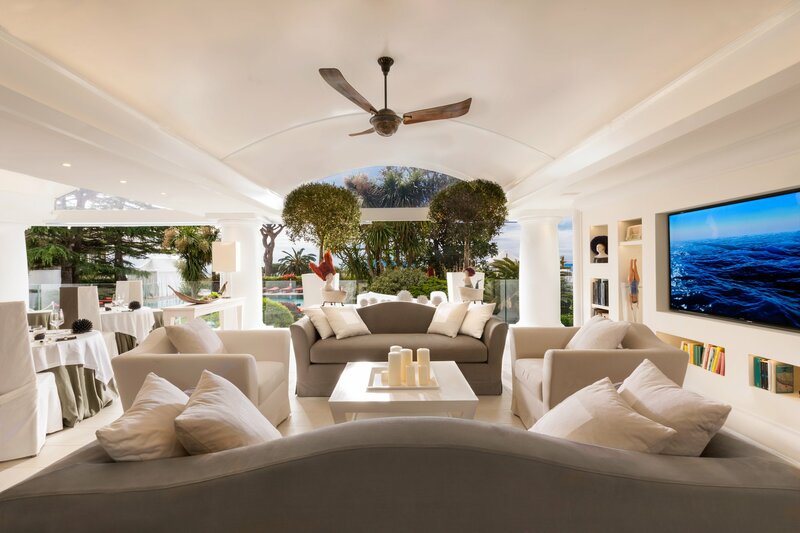 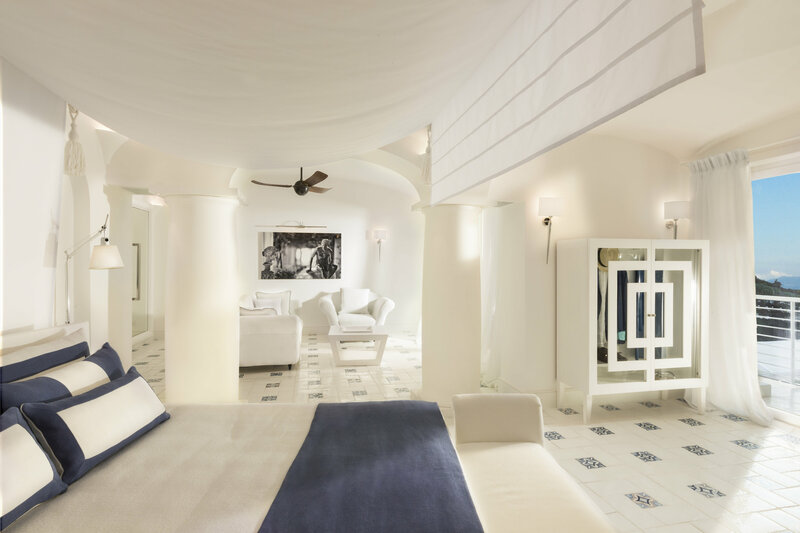 The white furniture dominates all the surroundings enhancing the architectural forms inspired by the Mediterranean and is the setting for a fine selection of contemporary art, a true hallmark of this place. 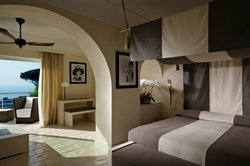 Upgrade/noon check in/ late check-out upon availability. 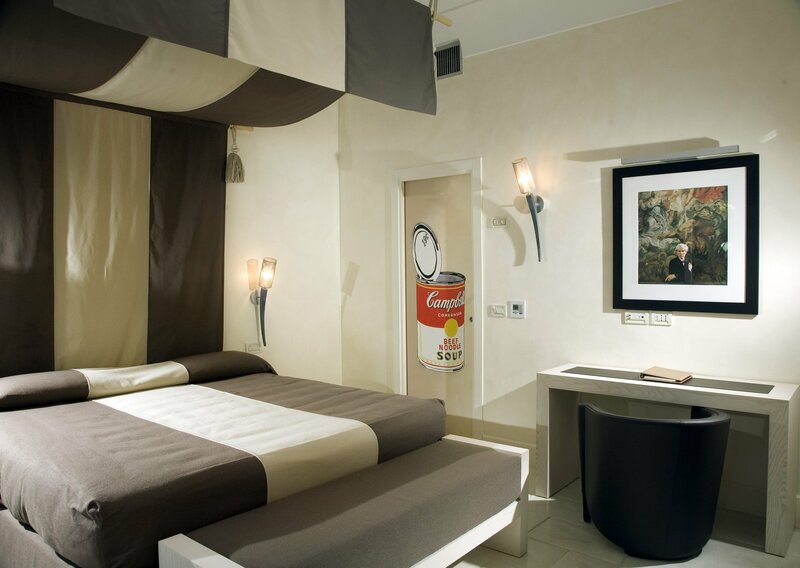 Chef's choice in room upon arrival. 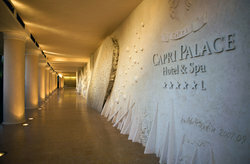 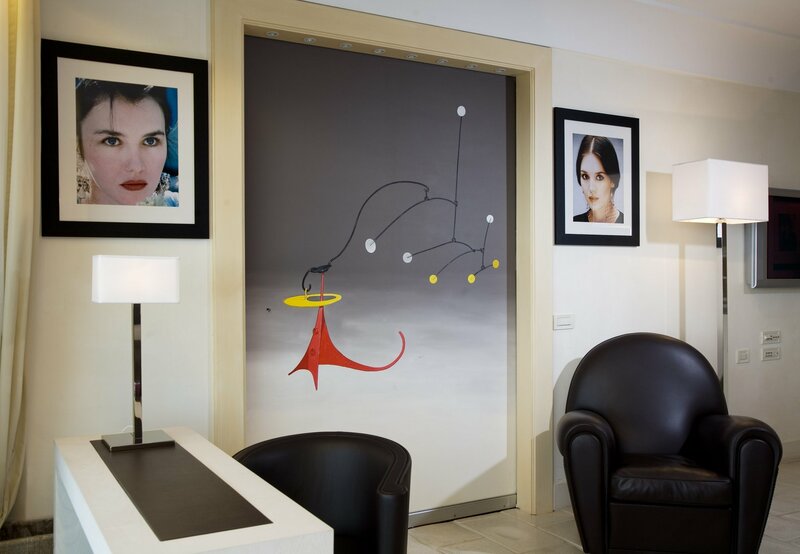 Euro 50 Spa credit at Capri Beauty Farm (not valid for Spa products). 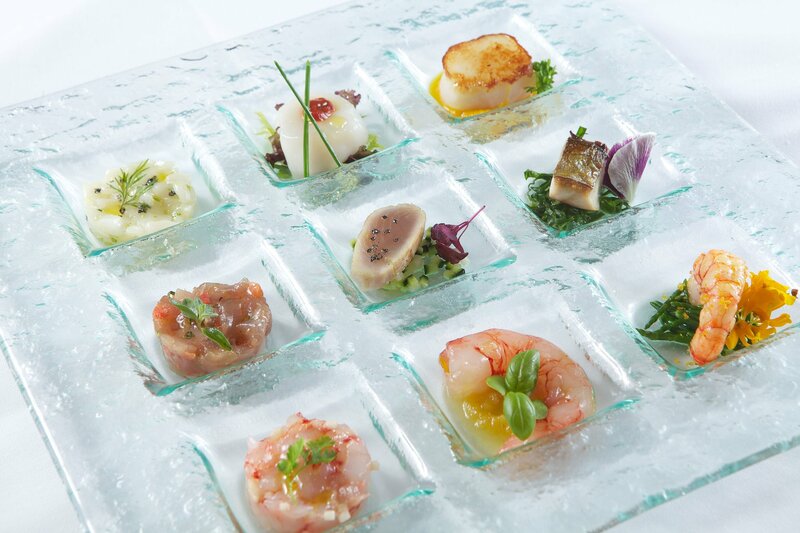 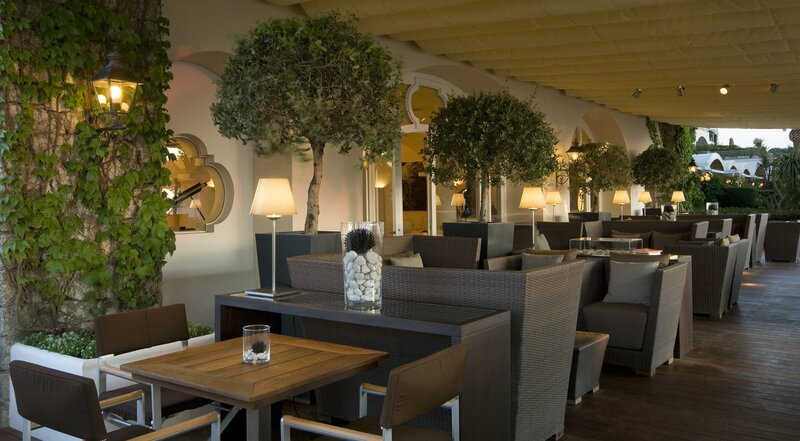 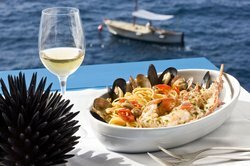 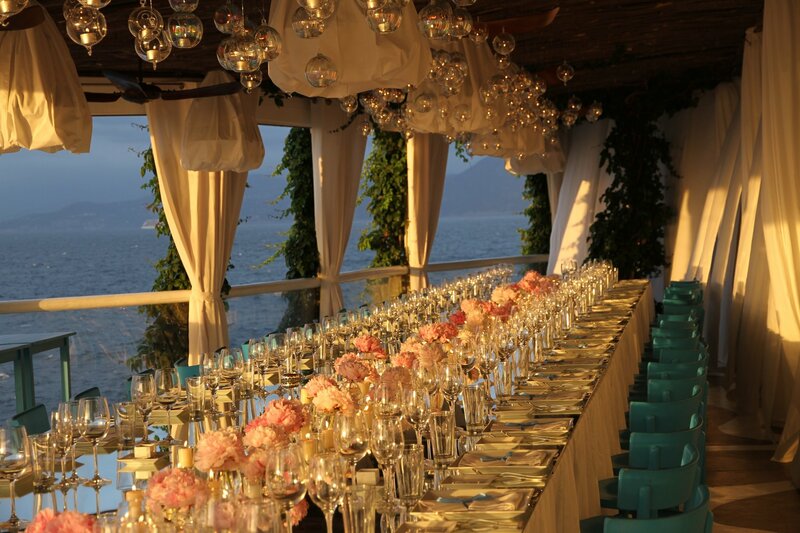 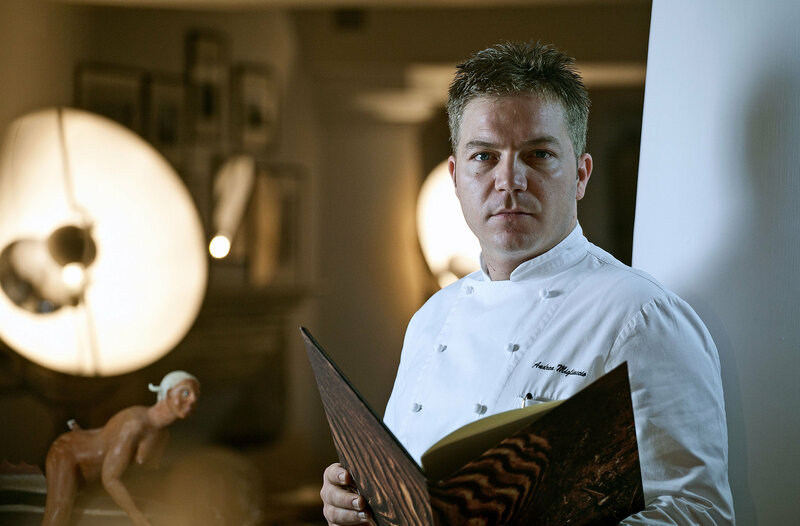 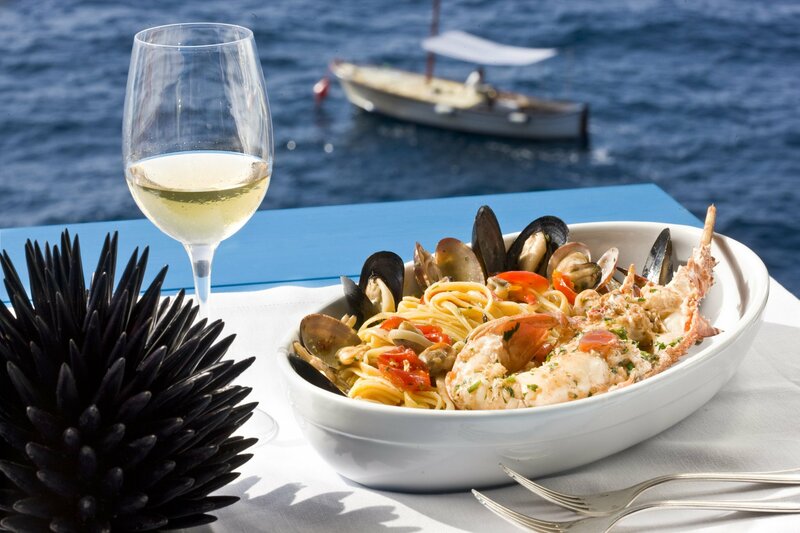 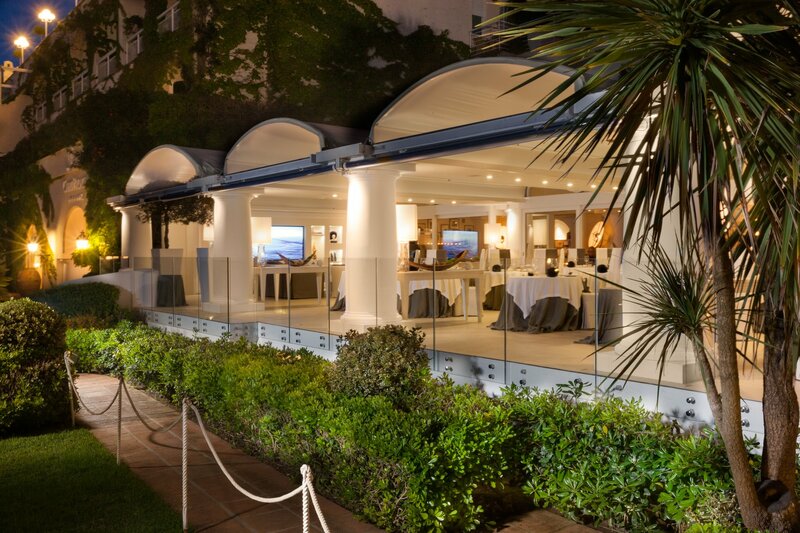 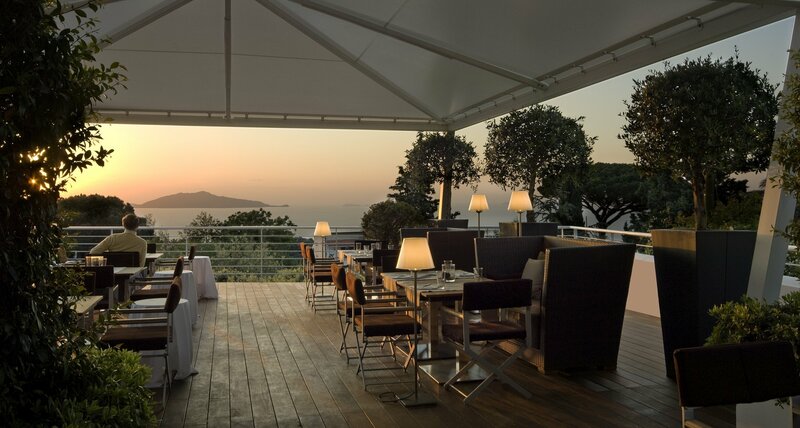 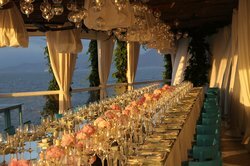 Welcome aperitif at Il Riccio restaurant and Beach Club. 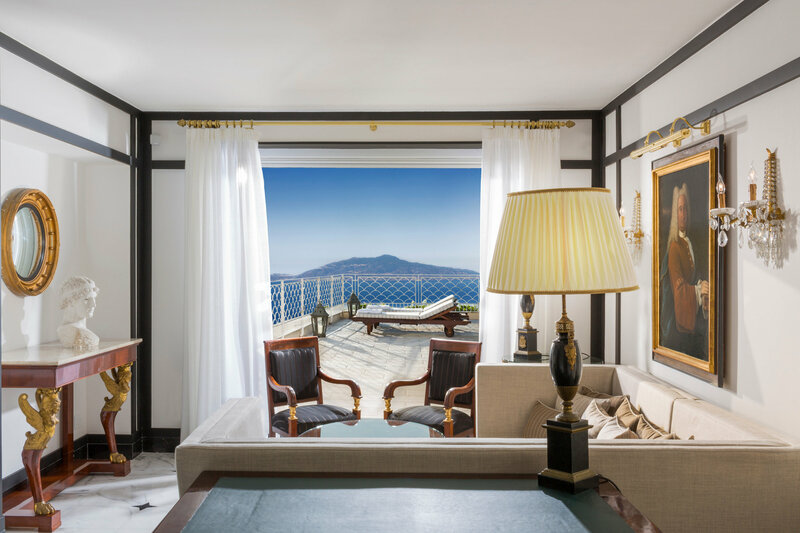 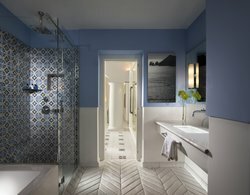 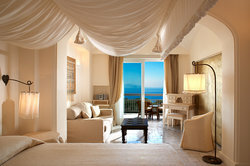 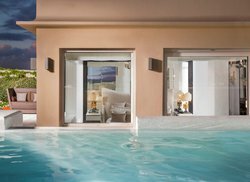 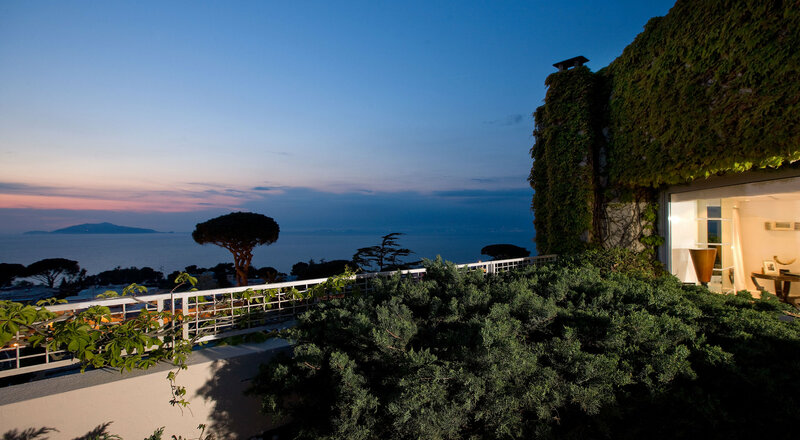 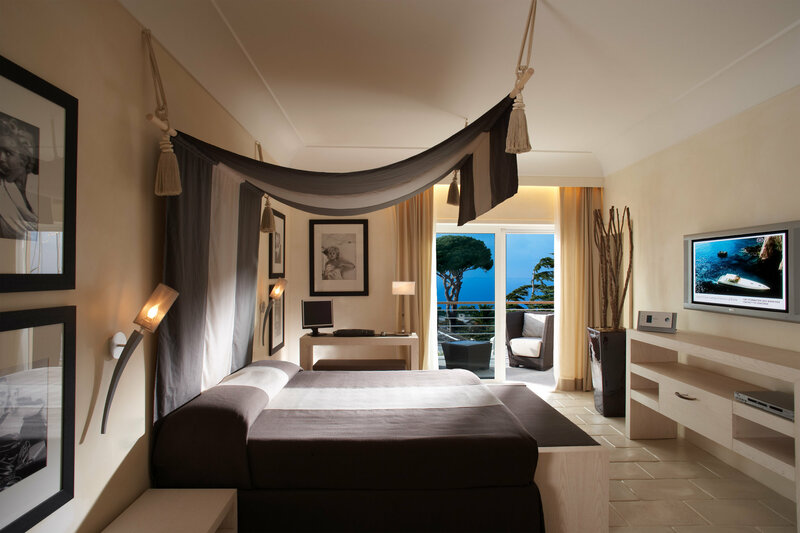 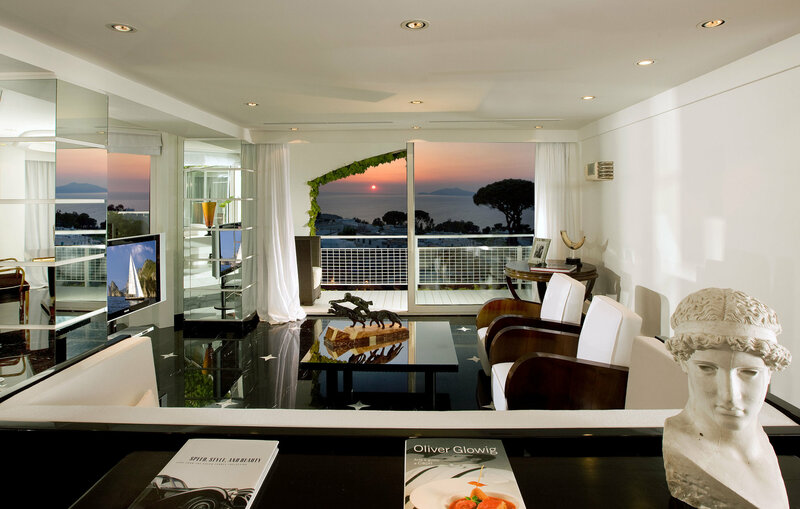 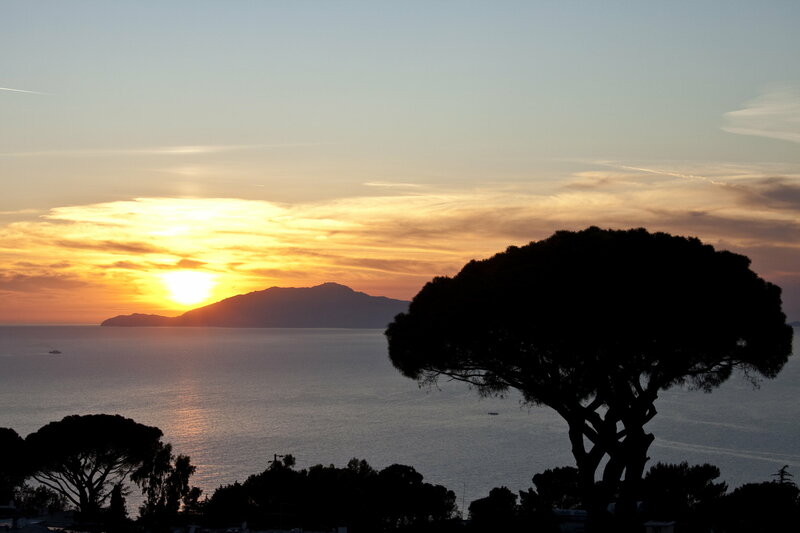 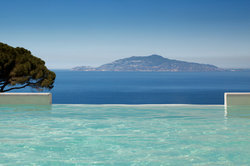 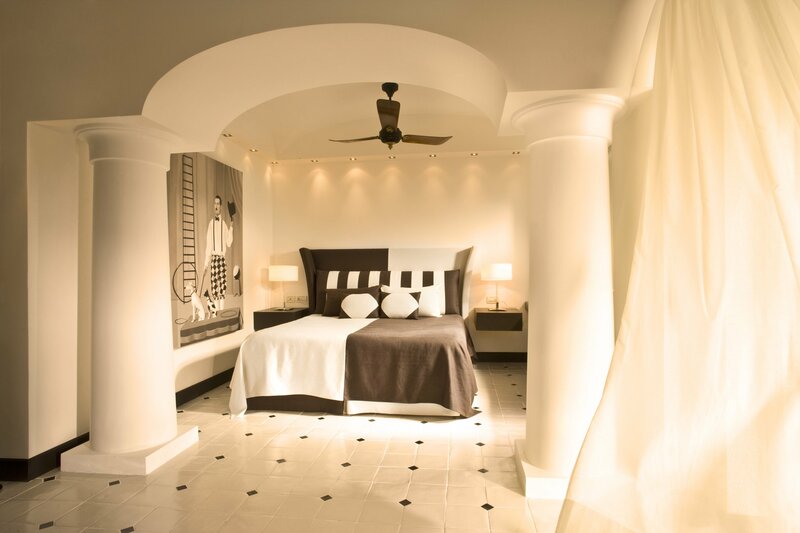 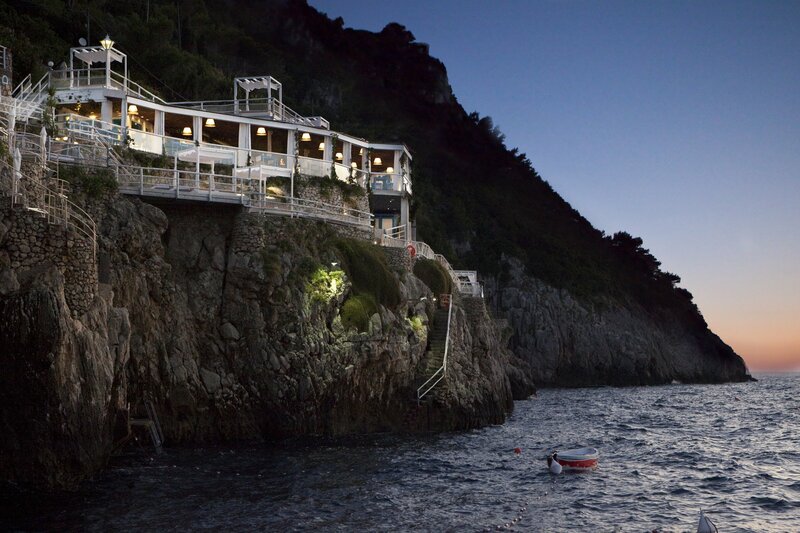 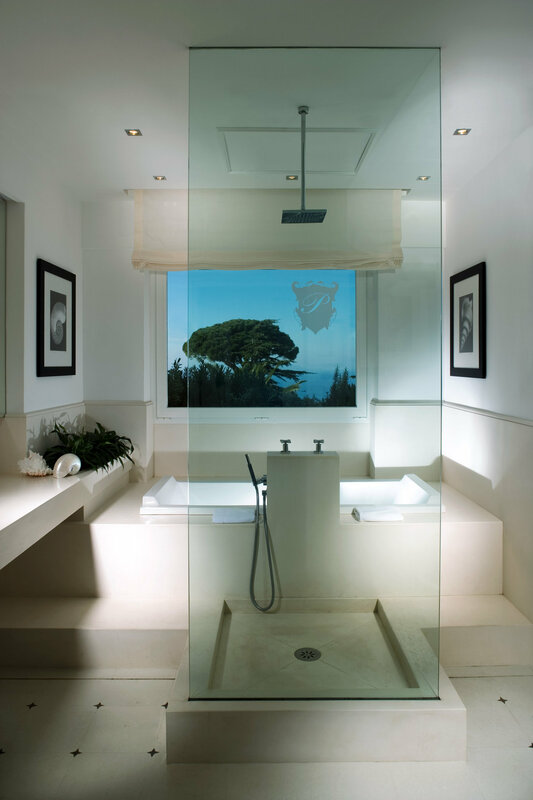 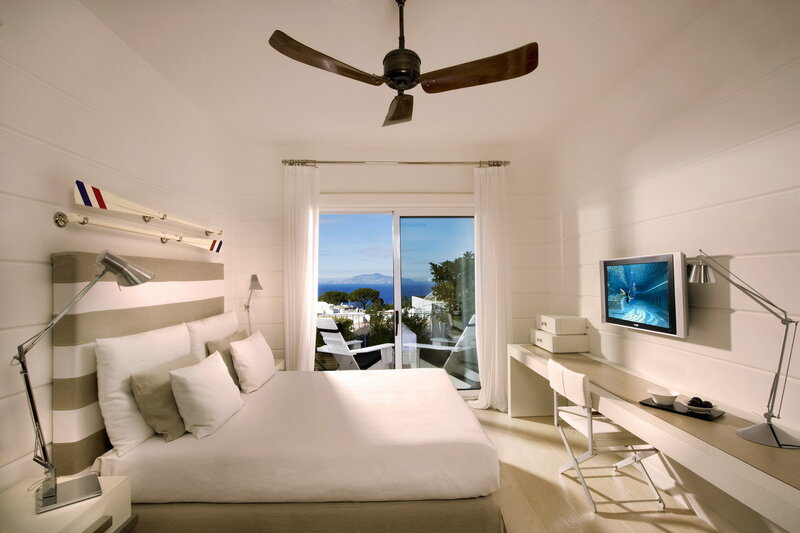 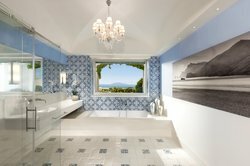 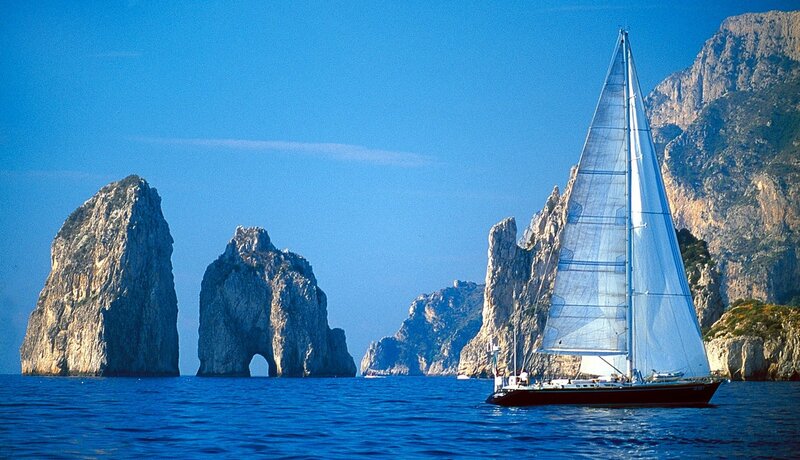 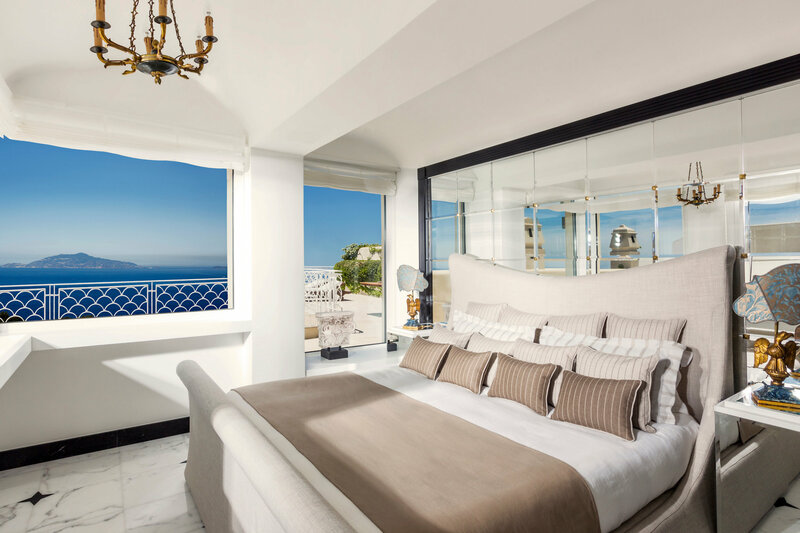 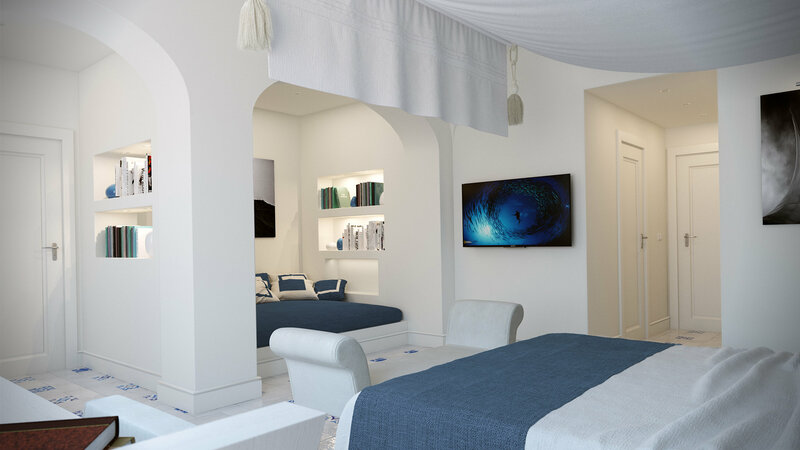 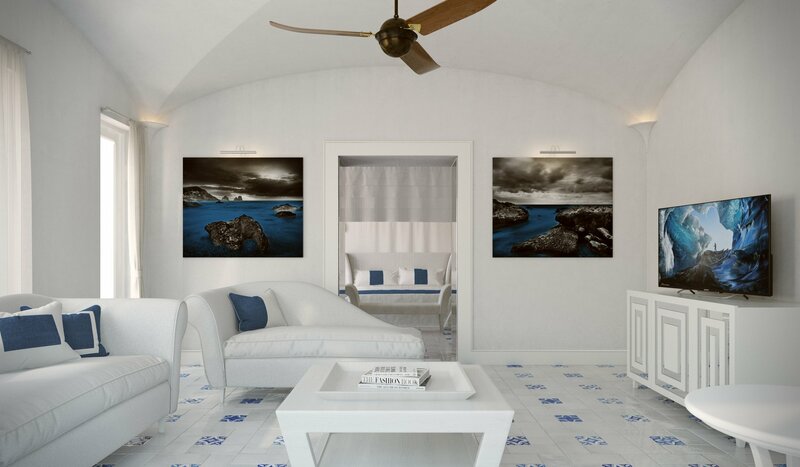 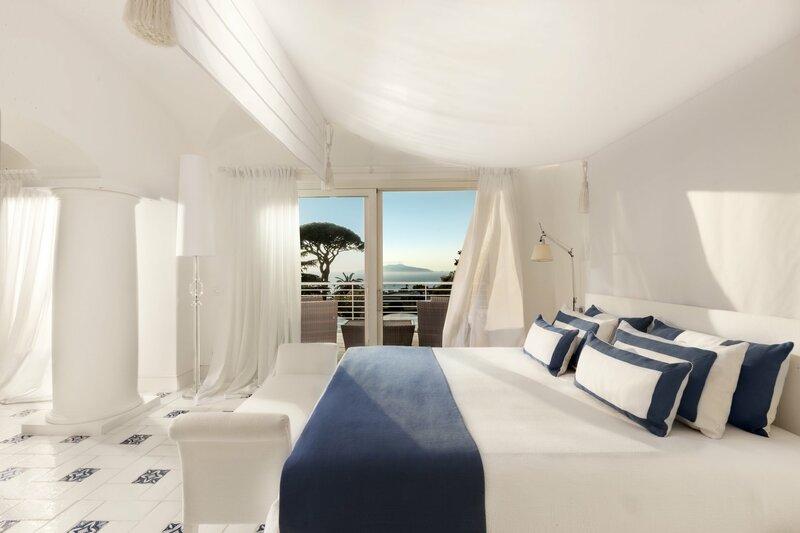 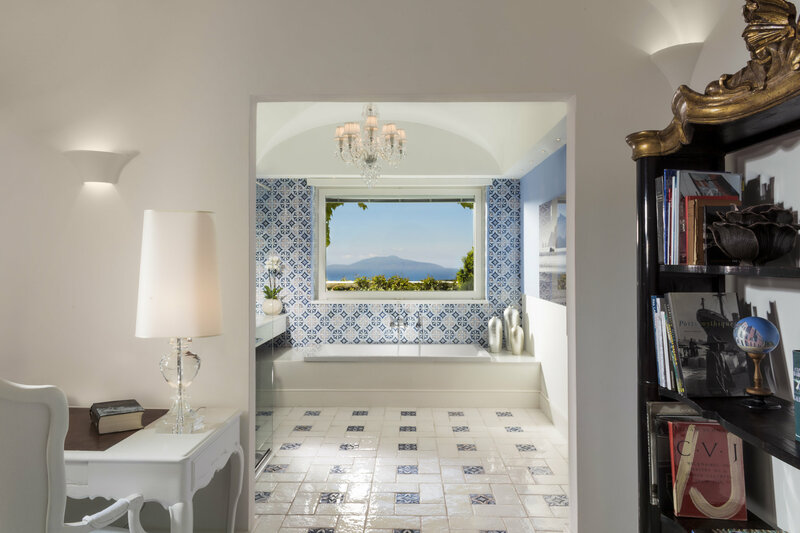 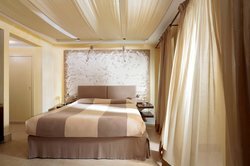 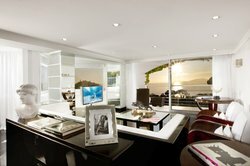 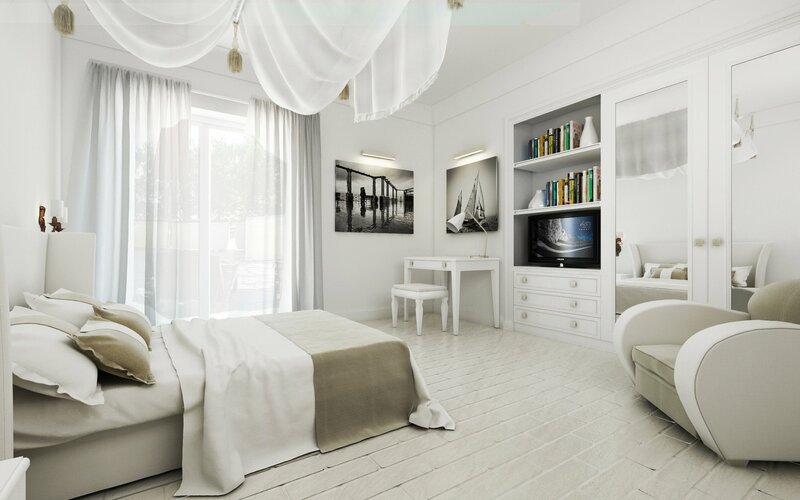 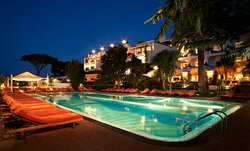 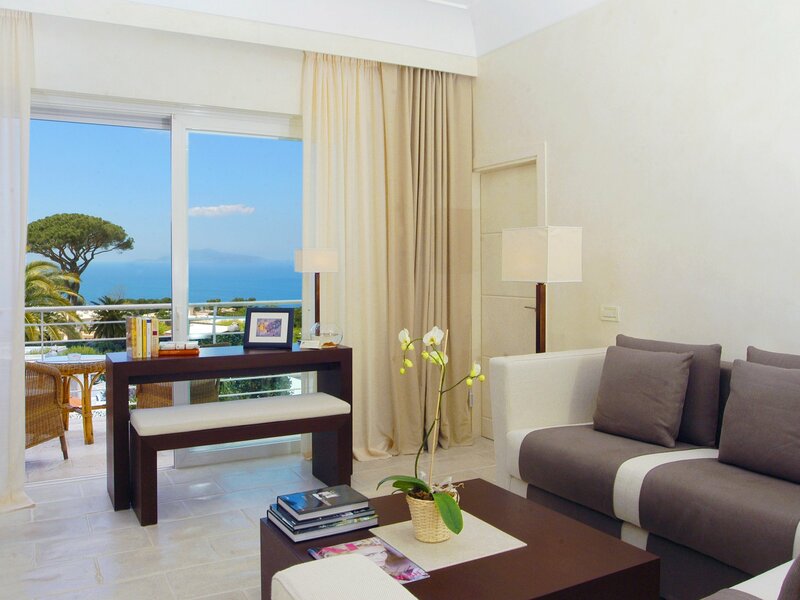 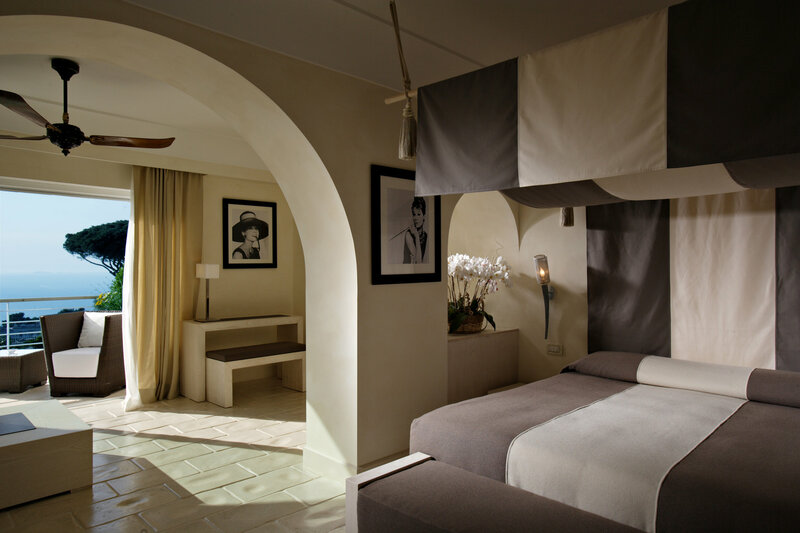 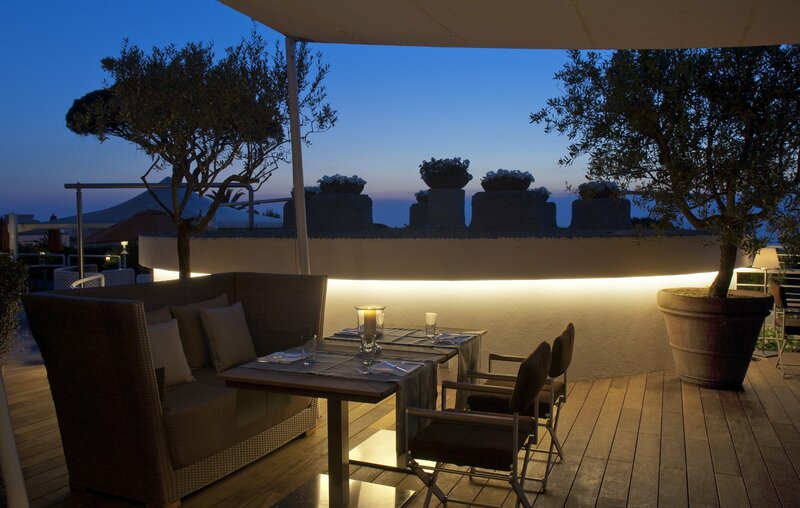 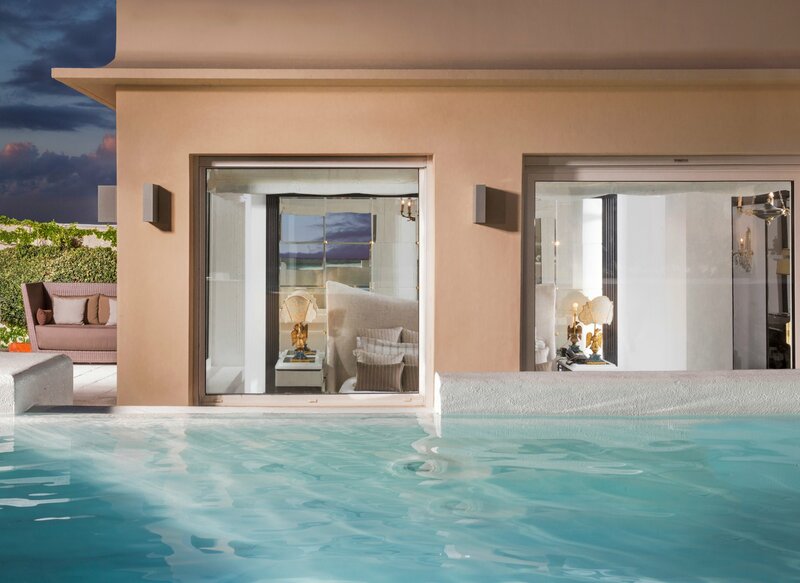 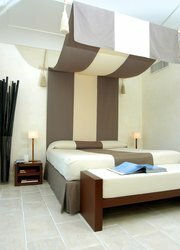 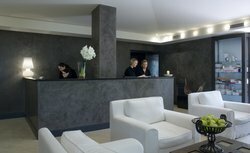 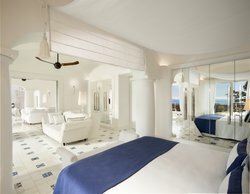 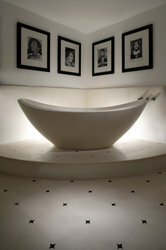 New Junior Suite Sea Side View in Capri style, 40 sqm with leaving room. 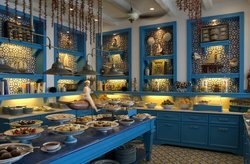 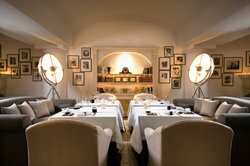 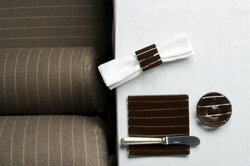 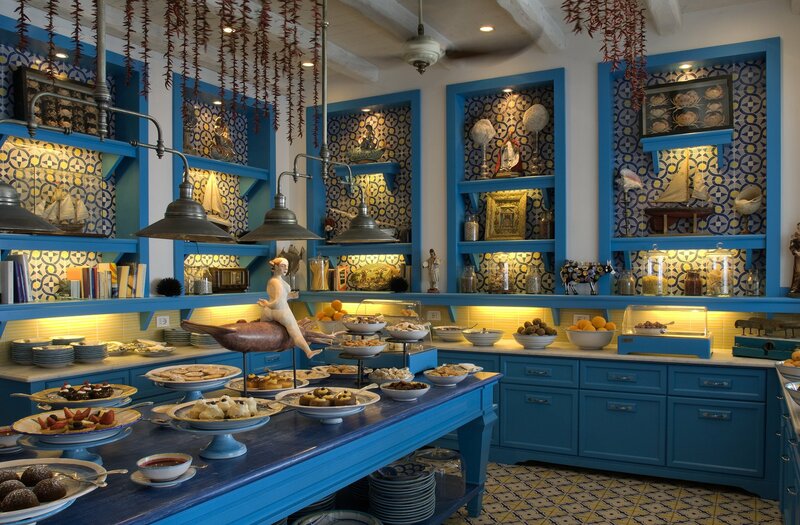 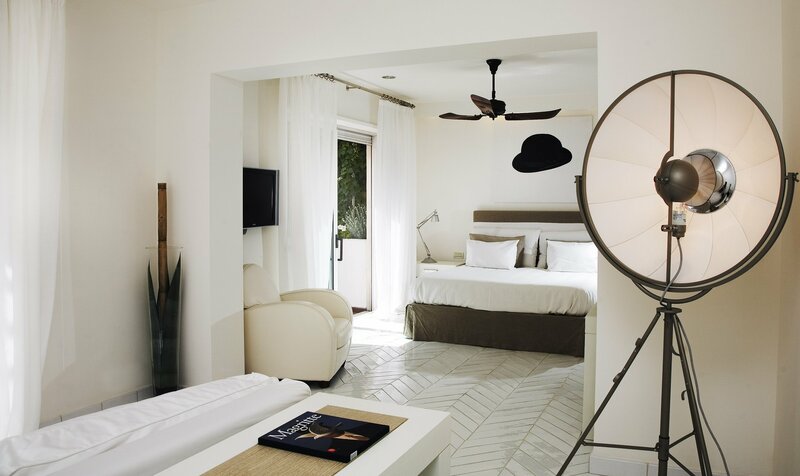 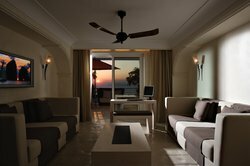 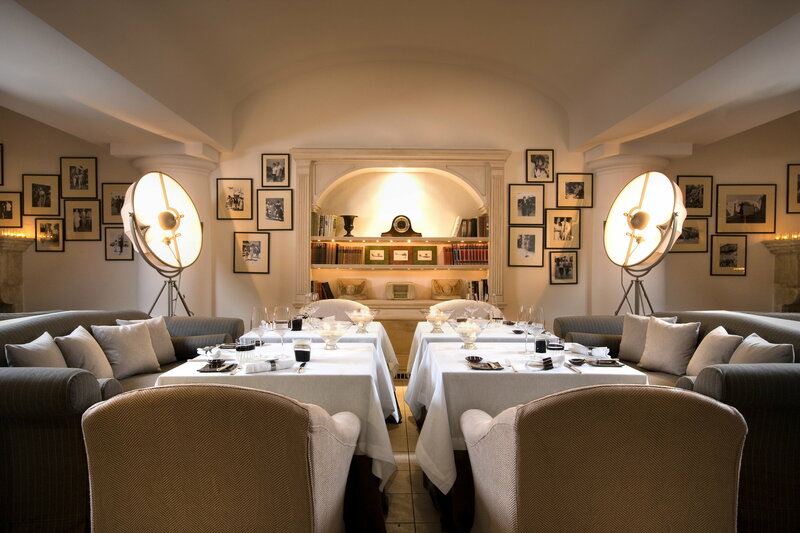 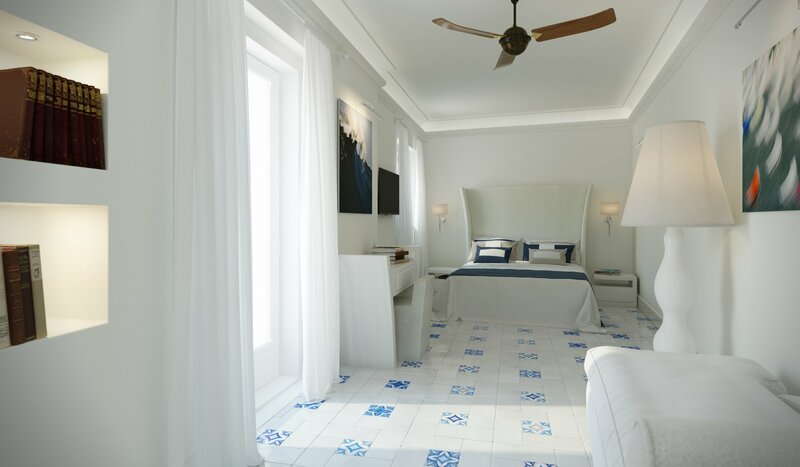 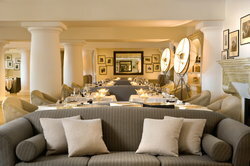 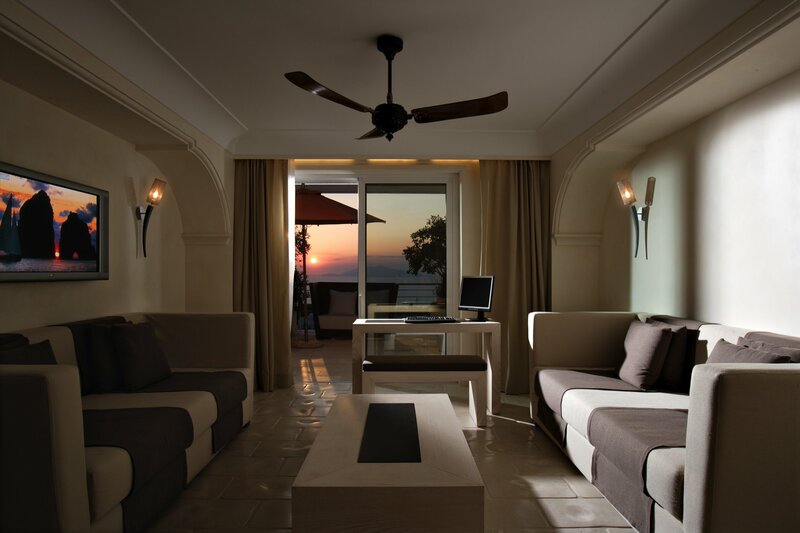 Refined furnishings and original colonial ventilators, they embody the supreme elegance of the Mediterranean style. 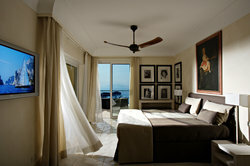 Large windows offer a beautiful seaside view. 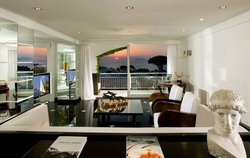 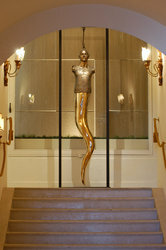 Suite comes with a with terrace or balcony. 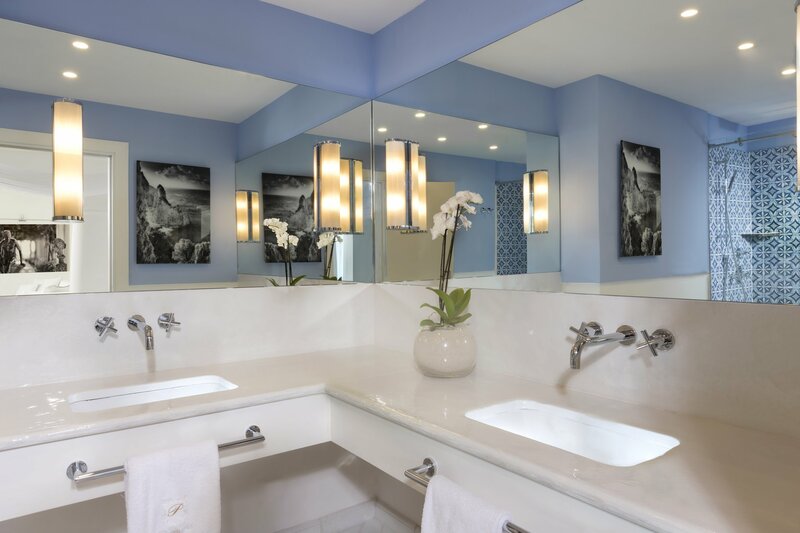 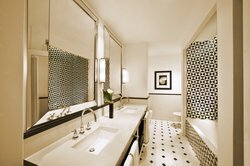 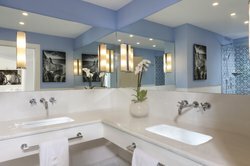 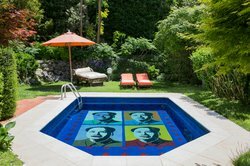 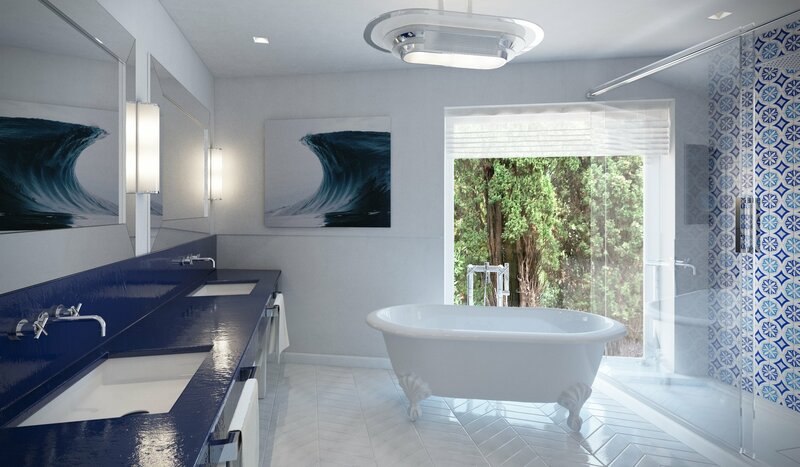 Boasting a free heated pool and a spacious furnished garden with patio, this suite features a large bedroom with a walk-in wardrobe, a living space and 1 bathroom with bath tub and shower. 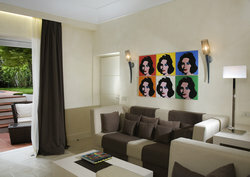 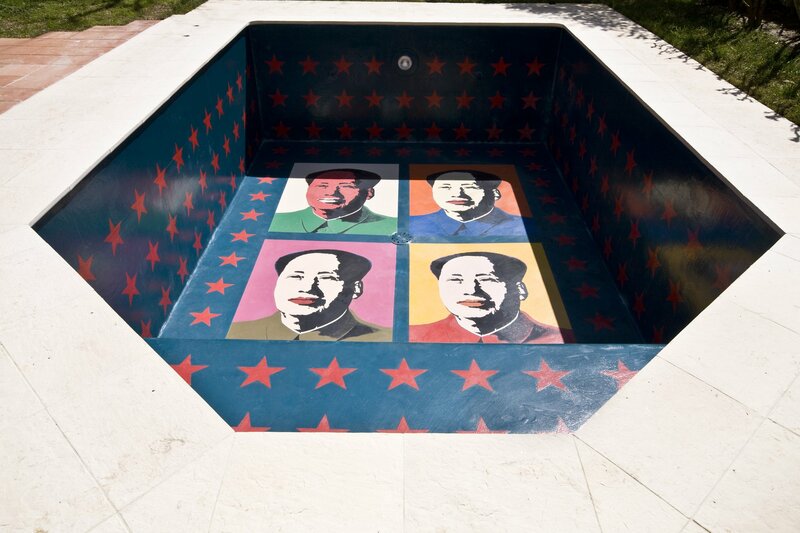 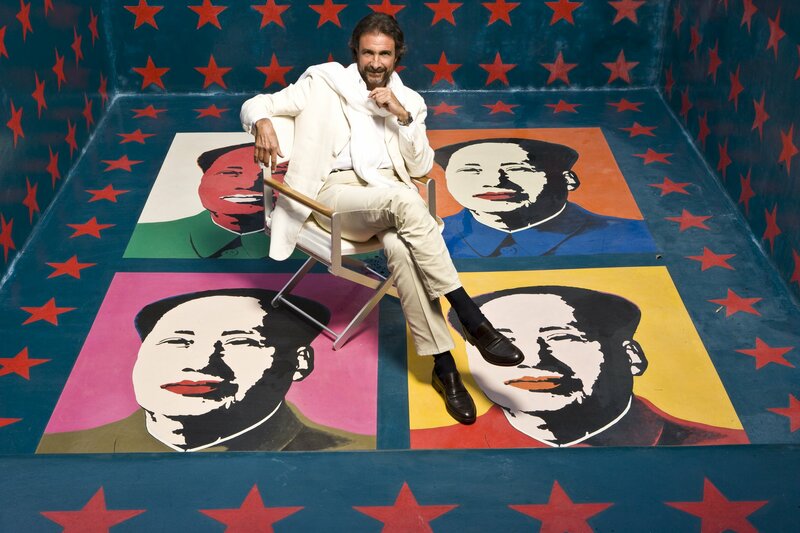 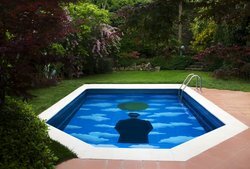 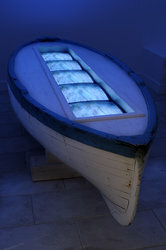 It might come with oil paintings of contemporary art. 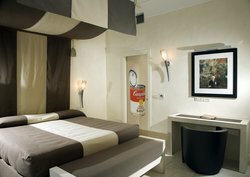 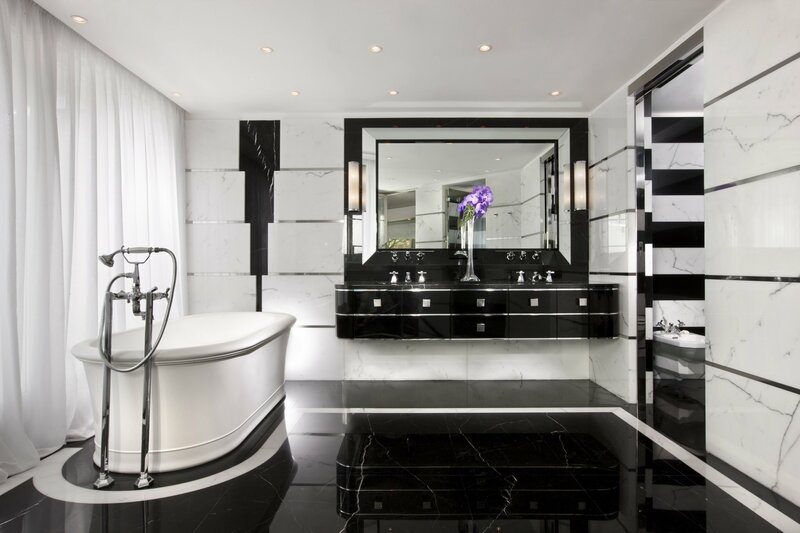 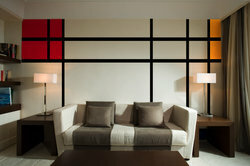 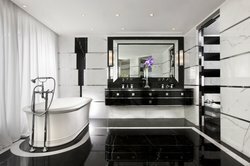 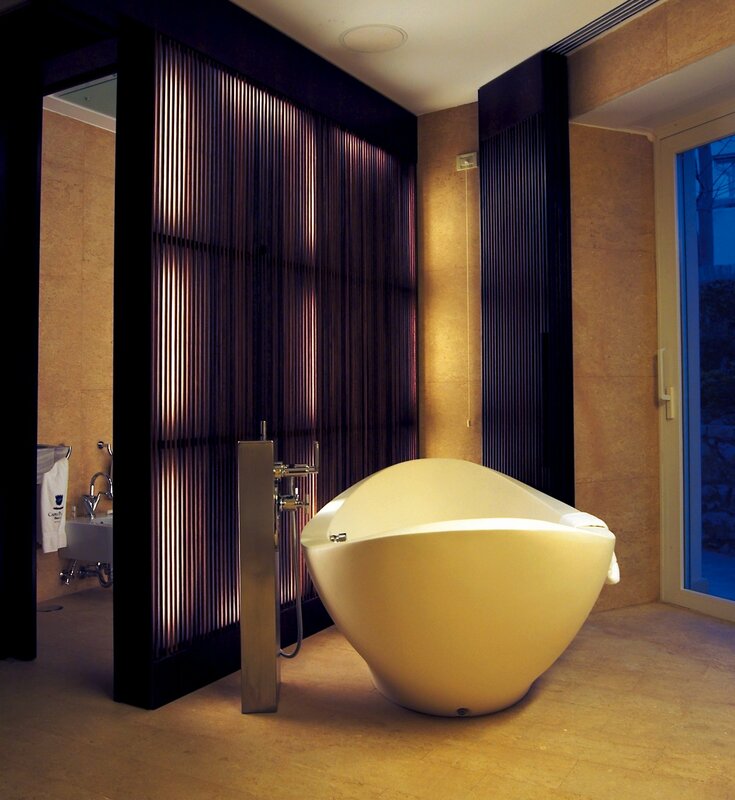 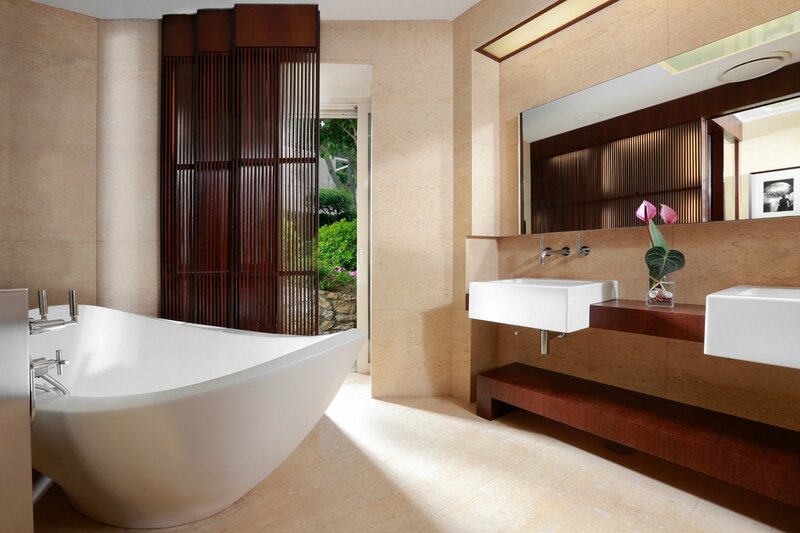 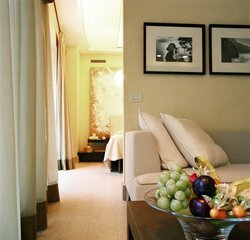 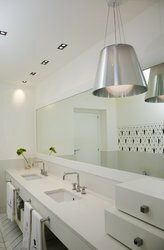 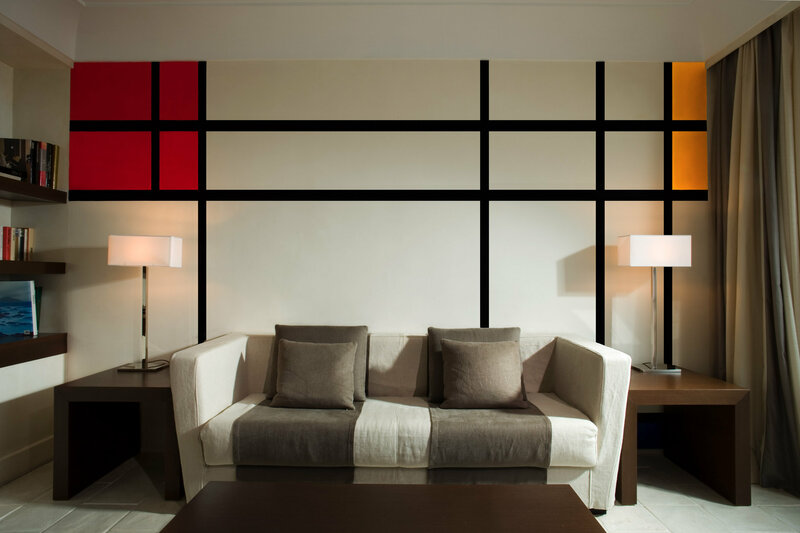 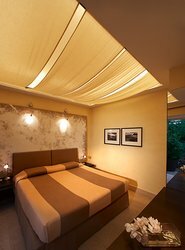 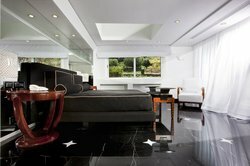 It includes 1 free massage p/ person per stay and free soft drinks from en suite minibar. 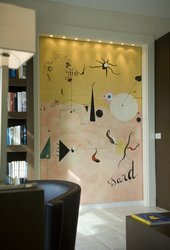 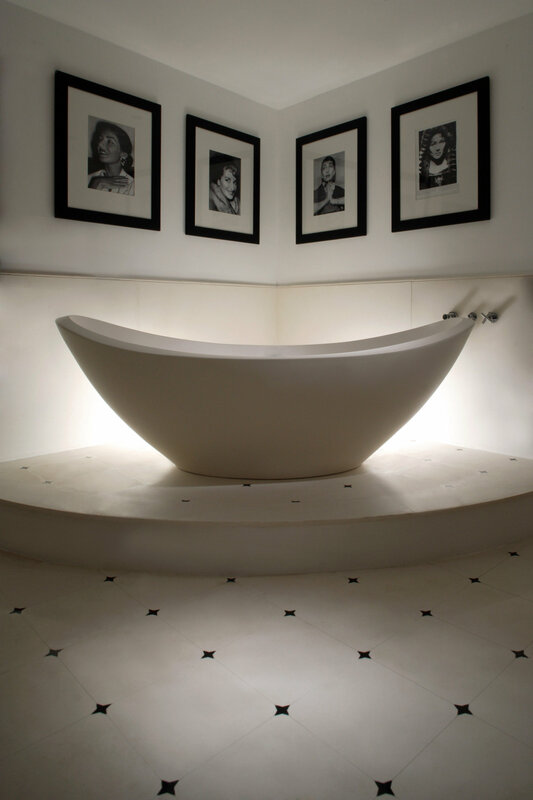 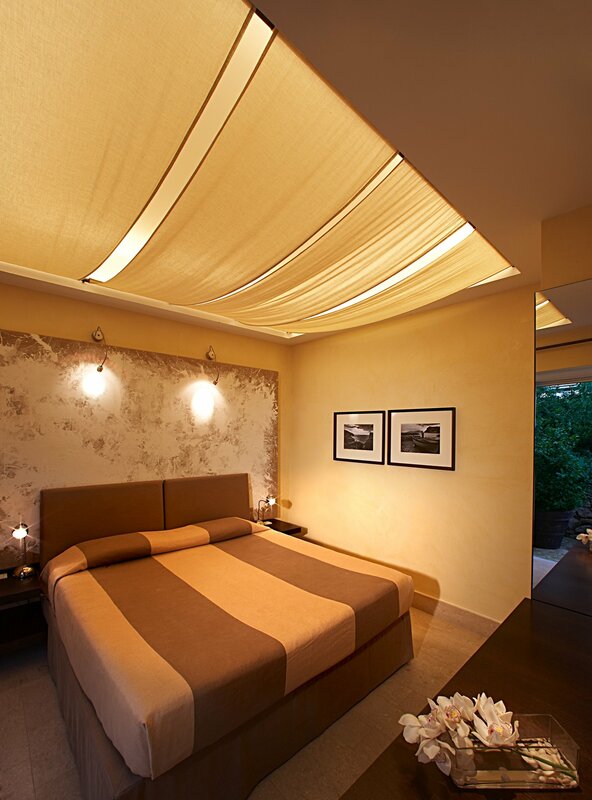 This 27 sqm room 290sqft is an elegant interpretation of the Mediterranean style with a contemporary touch. 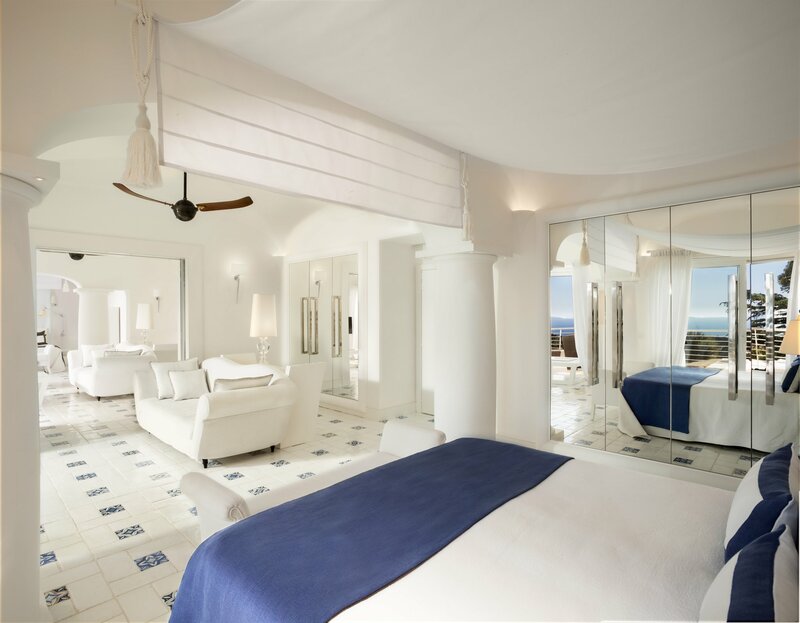 The grand window in the center of the room allows you overlook the hillside landscape, where you will find yourself lost in endless bliss.